In today's world it is important to know the future. Such as weather. Earlier there were mercury thermometers. At the moment the weather is measured by electronic weather stations. Weather information now can be found through the Internet and mobile phone. This information may be inaccurate. It depends on many factors. Example is not precise enough instruments. Different areas of the city are separated by a few kilometers. And the temperature and humidity will be different in different areas of the city. This modern realities of our lives. That is why we present our module Weather Tenki 15. We put the module in different areas of the city. The weather station works with precision sensors that measure temperature and humidity. All modules are connected via the port Ethernet. All environmental indicators module sends to the server in the form of SNMP traps. All information displayed on the site rospogoda.com. Once logged in, you can see the current temperature and humidity. View visual graphics performance across all areas of the city where our modules installed. 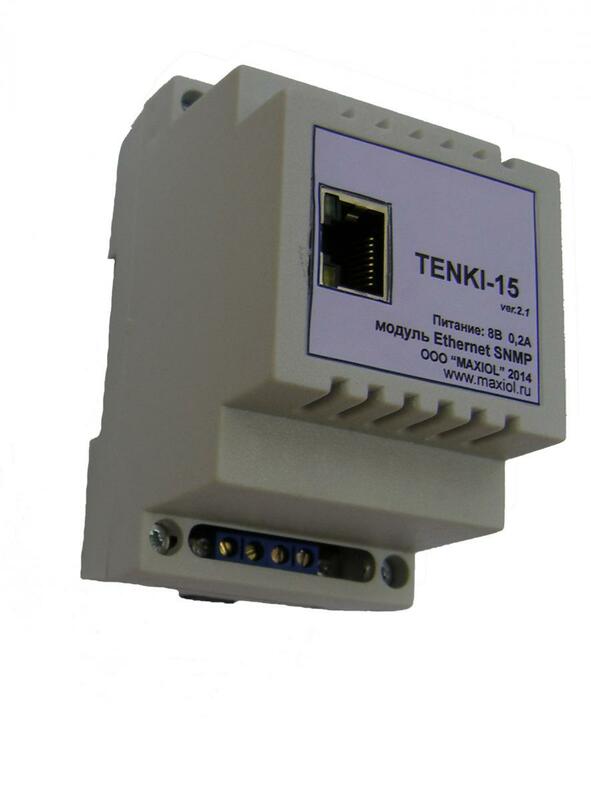 The module is equipped with a digital sensor DS18B20 - measuring temperature. Sensor HS1101 - measurement of relative humidity.